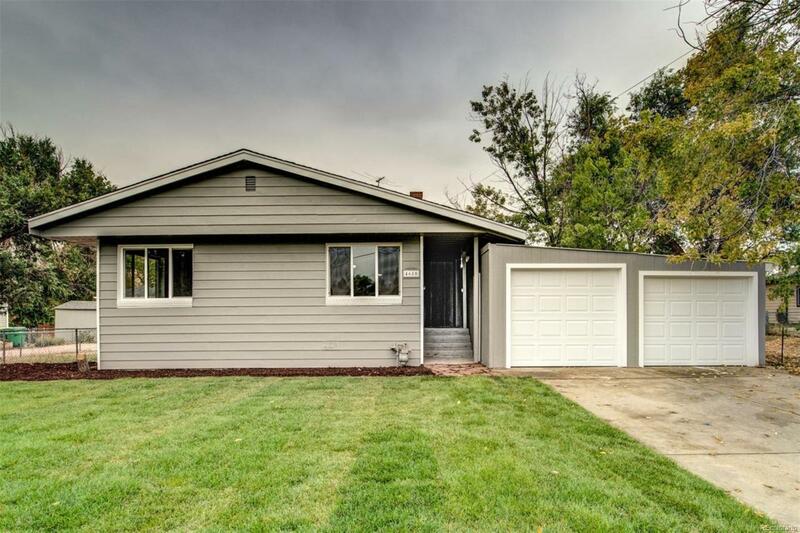 Welcome home to your beautifully updated home in Wheat Ridge! New carpet, new tile, fresh paint, new bathroom and more. The kitchen has been completely updated to include cabinets, quartz counters, SS appliances and fixtures. Park in the 2 car garage with brand new doors and openers! New sod and sprinkler system in front yard. All that is left is to move right in.